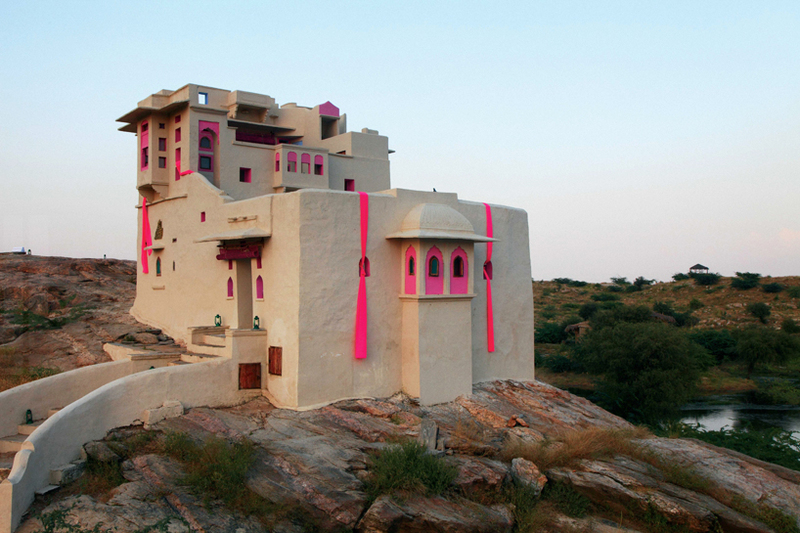 Authentic hotel in India – a studio from Delhi, Sahil & Sarthak, developed the traditional Lakshman Sagar Resort building on the lake shore in the Indian village of Raipur. The main goal of the project was to give a different interpretation to the traditional design methods in India, using non-standard approaches. 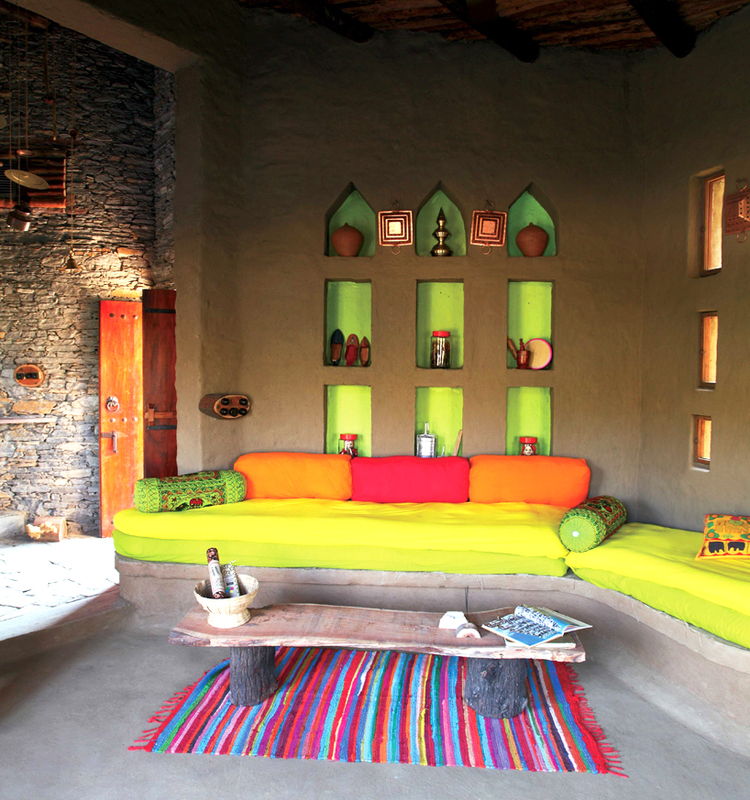 The choice of materials fell on the available local resources, and to design the interiors, the architects used unique items, which are crafted by artisans from a nearby village. The everyday items, agricultural tools and household utensils were specially made by hand for this resort, they embody a sense of style and tradition that could reflect the spirit of Raipur village. 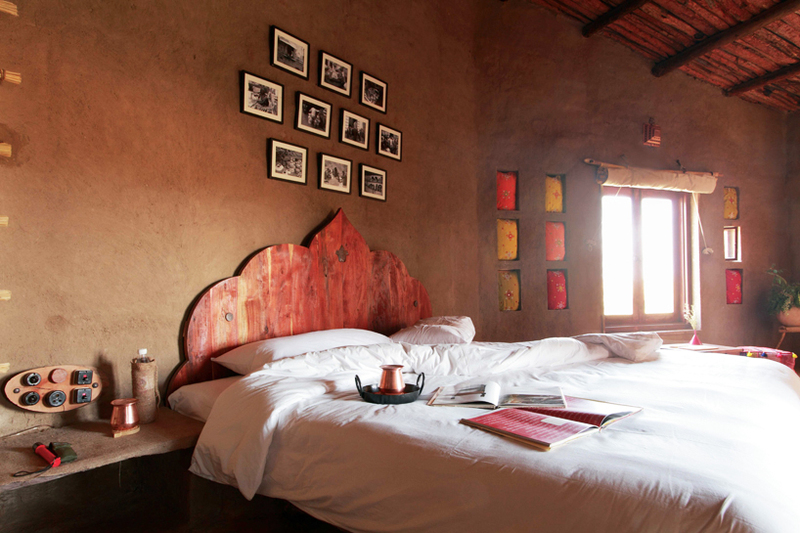 For example, in the Mardana restaurant on the walls hang trophies made from the tips of the plow, and the fabric upholstery of the chairs embodies the design of the national women’s clothing of the village of Raika Rabri.